Glasgow Central MP Alison Thewliss has joined with representatives of the UK’s beer drinkers, pub goers, brewers and publicans to urge the Chancellor to keep pubs afloat in the Autumn Budget. 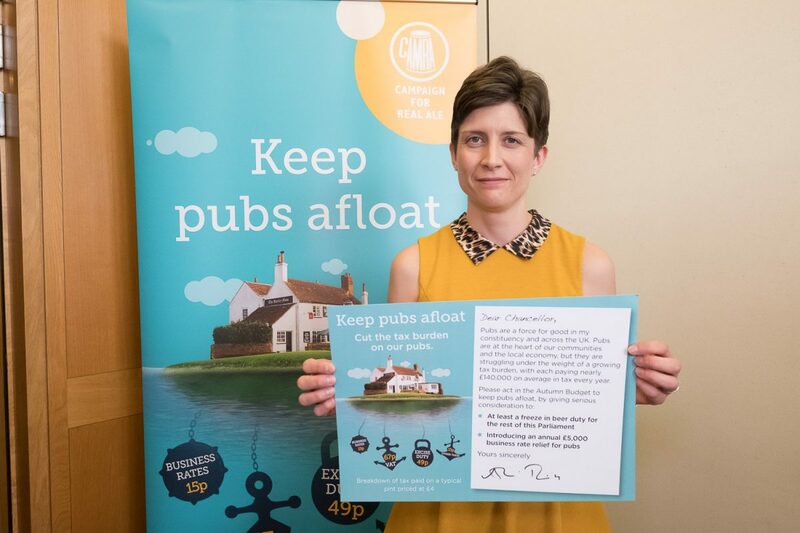 Ms Thewliss was one of over 50 MPs to add their voice to the campaign, calling on the Chancellor to give serious consideration to introducing a freeze in beer duty for the rest of this Parliament. Alison Thewliss MP said: “Pubs are a force for good in Glasgow Central and across the UK. Pubs are at the heart of our communities and the local economy, but they are struggling under the weight of a growing tax burden.